Add Sage to your Favourite Herbs list. Herbosophy's Sage Leaf is from pure Salvia officinalis Leaf and contains no fillers, preservatives or additives and is freshly encapsulated for you at order or packaged as loose powder: the choice is yours. 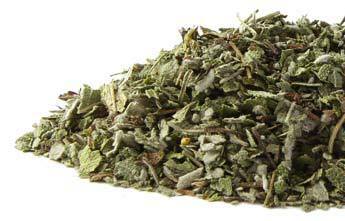 Fresh sage has a milder flavor than dried sage so it can be used more extensively. Use it to cut the richness of fatty foods such as goose, duck and oily fish. Fresh sage has a prominent lemon zest flavor that is lost when the herb is dried. 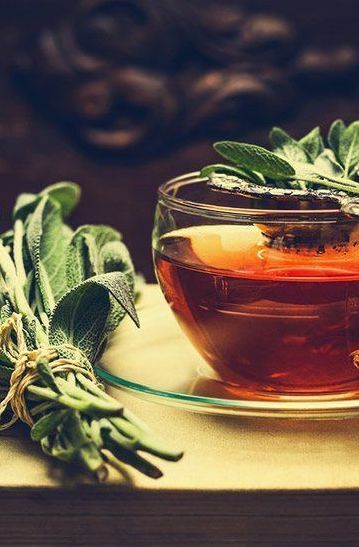 Sage Leaf is traditionally considered by Herbalists to be dry and warming and has been a popular herb in the Western Tradition for culinary, cosmetic and health use. Avoid large doses during pregnancy as it can dry up lactation. Unfortunately, this is not helping with hot flushes I have been suffering for years with Menopause symptoms and nothing helps except HRT which I am not allowed to take anymore. I ordered the Sage Capsules for my menopausal hot flushes and their vegan friendly vege caps. My hot flushes have almost disappeared. A great product. I ordered Sage for relief of peri menopausal hot flushes. I chose Herbosophy herbs for their freshness and because their gel caps are vegan friendly. My Hot flushes stopped within 2 days of taking 1 capsule twice daily. Sage is a wonderful herb to counter hot flushes and excessive sweating. I highly recommend that anyone with these ailments try Herbosophy Sage before anything else. Love this tea. It makes me sharper and more focused. sugar syrup. Mature 4-9 weeks. to roast pork or veal. Stuff each trout with 4 sprigs of sage. the trout over medium-high heat for 5 minutes. fish. Heat the gin in a small pan over low heat. remaining ingredients except the olive oil. soft. Serves 4 to 6.
soup pot. Cover the beans with 1 inch of water. Add the chopped sage and parsley to the soup. the soup into warm soup plates or bowls. desired. Spoon the crust mixture onto the fish. in olive oil on top of stove or in oven at 450F. continue to simmer for 15-20 minutes. low heat, stirring constantly, until bubbly. cabbage. Sprinkle the cheese over the cabbage. bread crumbs and ? cup melted butter. all ingredients except olive oil. Mix well. ungreased baking sheet and bake 40 minutes. serrano pepper, soy sauce and fresh herbs. meat to marinate in refrigerator for 24 hours. from processor bowl to large mixing bowl. in thirds again. Roll out to ? inch thickness. egg white and place one on top of each biscuit. slightly. Add walnuts, again pressing lightly. parmesan over the rice mixture and toss well. pressing down on the top to flatten it a bit. nice golden brown. Serve immediately. ghee or oil very slowly for about 10 minutes. sage pesto and lemon juice to taste. Serve hot. cheese and nuts in a food processor or blender. water until you are ready to cook them. the potatoes and place them in the hot oil. and tossing them to keep them from sticking. garlic, stir well, and cook for 2 more minutes. accommodate all of the potatoes in one layer. flour, 3/4 tsp teaspoon salt and minced herbs. with a fork a few times, and sprinkle with salt. garnished with herbs. Serves 4.